We are open today, 3–6 p.m.! 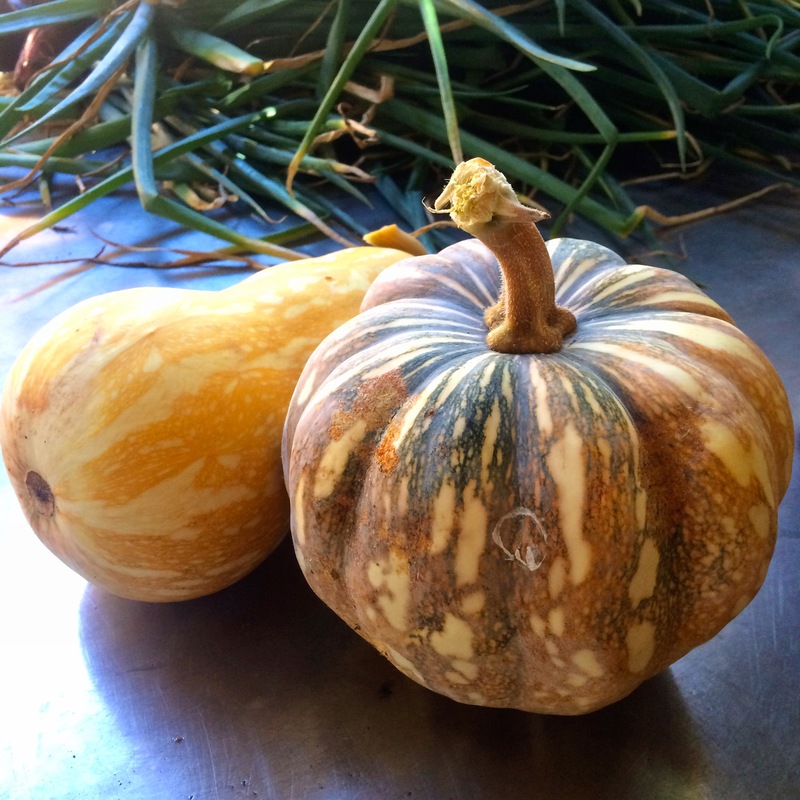 Some special treats today… It is pumpkin harvest time at ARTfarm this year! 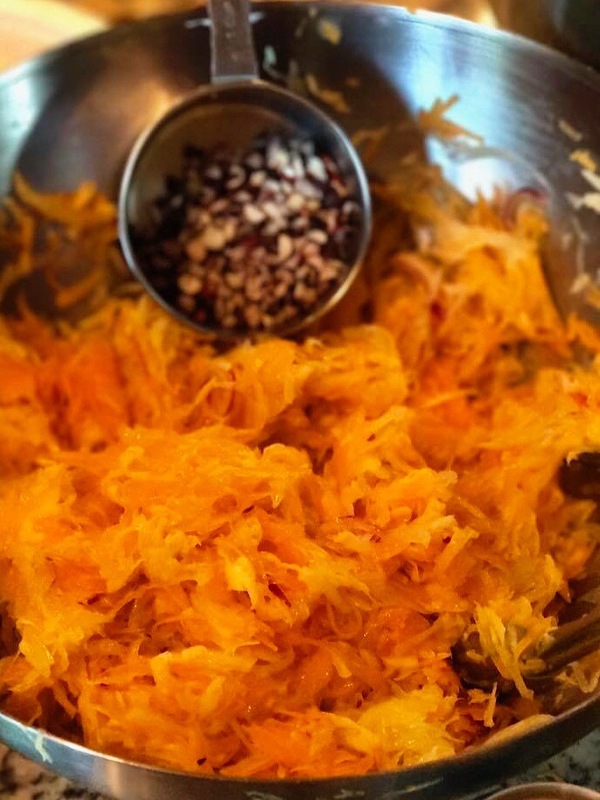 Pumpkins are one of those versatile vegetables that can be used in desserts and entrées alike. They are perfect in soups and stews, ravioli and gnocchi, they are wonderful halved and roasted in the oven, they go into pies and soufflés and cheesecakes and tarts, they can be puréed and added to many dishes to give them extra richness, thickness and sweetness. 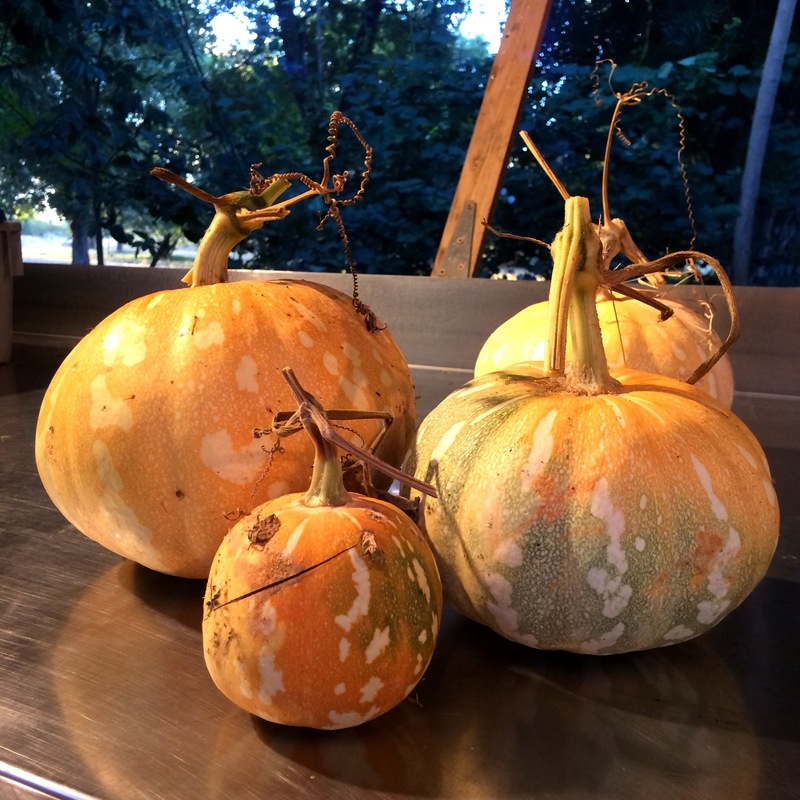 Maybe we are biased, but we think that our pumpkins are incredibly beautiful, each one with a unique shape and color pattern. We suggest you buy a couple of whole ones and display them in your home for a couple of days before enjoying them. Pumpkin and goat cheese are a great match. We have beautiful locally made goat cheese medallions today from the VI’s Alpine Dairy Goat herd, Fiddlewood Farm! Sweet salad mix, baby arugula, cherry tomatoes, slicing and heirloom tomatoes, loads of beautiful onions, loads of red serranos and red Indian chili peppers, green bell peppers, garlic chives, parsley, cilantro, Italian basil, holy basil, lemon basil, three types of radishes, assorted beautiful pumpkins, and loads of zinnia flowers! It’s the height of tomato season and the time of year where we have the most variety! Swing South on your way to your weekend and get some beautiful locally, sustainably and organically grown produce straight from the farmer! Sweet salad mix, spicy and baby spicy salad mix, arugula, baby arugula, cucumbers, beets, carrots, yard long beans, all sorts of tomatoes, cherry tomatoes, kale, dandelion greens, escarole, endive, radicchio, onions, pumpkin, radishes, ginger, Italian basil, lemon basil, Thai basil, holy basil, garlic chives, dill, cilantro, parsley, passionfruit, a few bags of fat fresh Mediterranean figs, fresh cut zinnia flowers! Our pumpkins were petite but incredibly flavorful this year. They have a very pungent, dry flesh that holds up beautifully to cooking. By the slice! 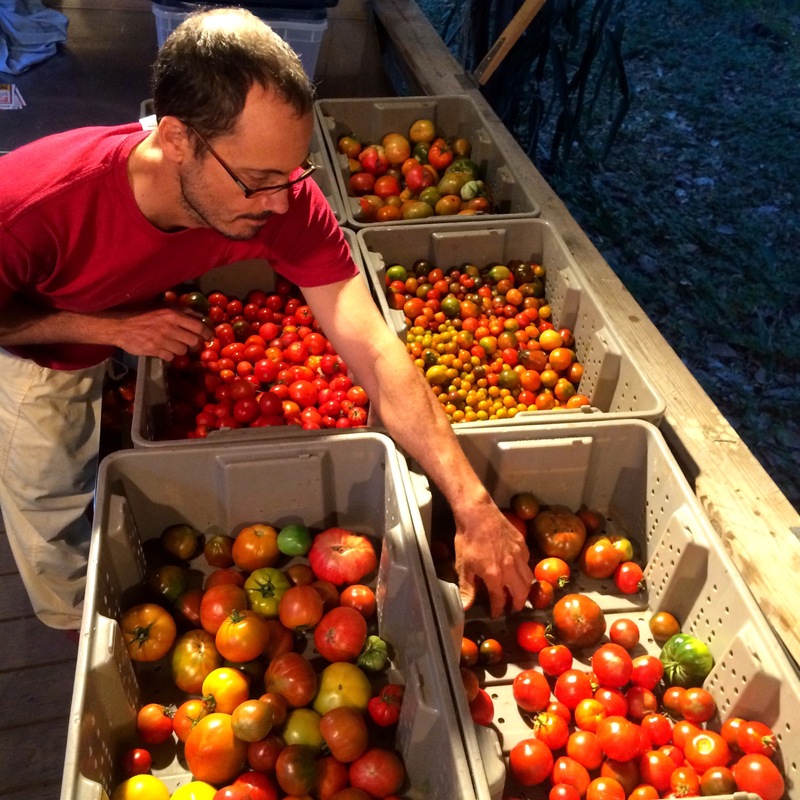 Luca is always up before the sun on farmstand days to harvest and sort. It’s officially mango season!! 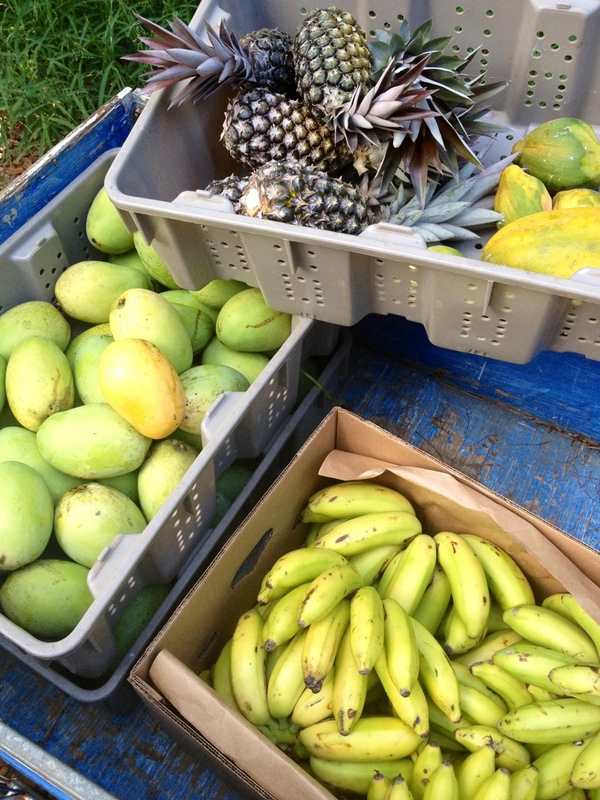 Today’s stand starts with a mélange of sweet and juicy local fruit: bananas from Reuben Liburd, Haitian kidney and Nam Duc Mai mangoes from Alex Ettienne, ARTfarm pineapples & papaya!! Microgreens, Kan-Kong (Asian spinach), sweet peppers, hot peppers, cherry tomatoes, pumpkin, beets, scallions, bok choi, Bodhi yard-long beans, garlic chives; italian, lemon, thai and holy basil; lemongrass, zinnia flowers; native trees, and pineapple slips. 10am – 12 noon every Saturday. We are discontinuing Monday farmstands until next year. Wednesday hours are now 3-6pm! Thanks for your support. Get Pumkn’d at ARTfarm today! 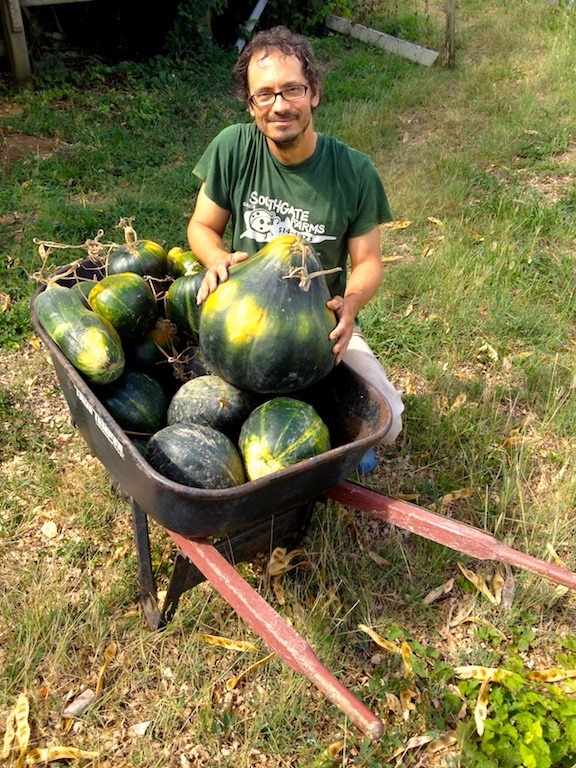 Farmer Luca with a large wheelbarrow full of green skinned pumpkins at ARTfarm. Wednesday afternoon stand: Beets, pumpkin whole or by the slice, cucumbers, Italian basil, holy basil, lemon basil, sweet mix, spicy mix, microgreens, baby arugula, onions, scallions, bell peppers, heirloom tomatoes, cherry tomatoes, red slicing tomatoes, non-dairy coconut based (you’d never know it if we didn’t tell ya) ice cream, and homemade chocolates. Yes, we’re open this afternoon 3-5:30pm with sweet salad mix, arugula, microgreens, tomatoes galore, cucumbers, pumpkin, onions. Yummy! Ice cream and chocolate too.